Collecting Doulton Lambeth’s famous sporting reliefs. 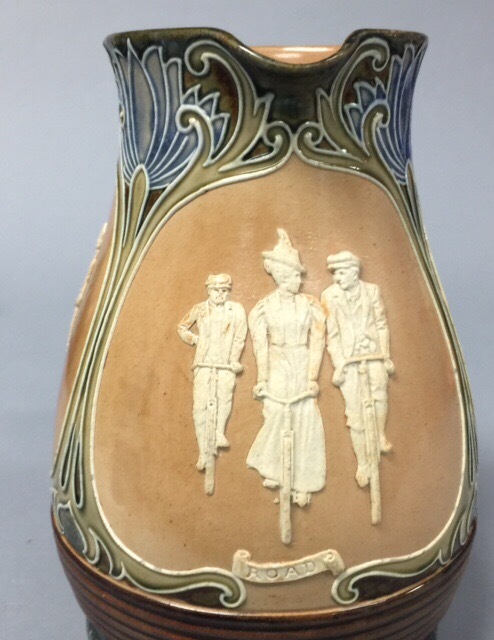 Images of sports including cricket, cycling, shooting, running, football, long jump, rugby, soccer, horse racing and golf can be found decorating Lambethware. These items remain as popular today as they did during the time they were produced from the 1880’s to the outbreak of World War I. 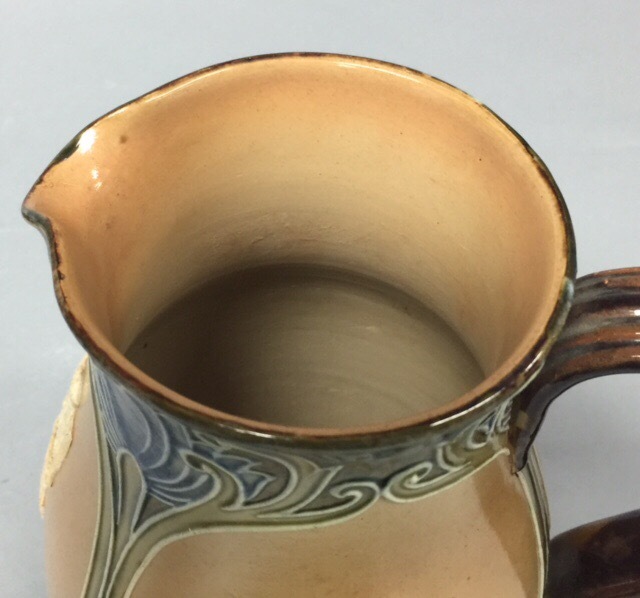 Typically decorated in the art nouveau taste in addition to the sporting motifs, these unusual pieces of Lambethware remain as stylish today as they did when first introduced! Originally designed by John Broad, sporting relief items can be found with silver mounts, befitting their status as trophies and commemoratives and enabling personalised inscriptions to be given to the silver mounts. 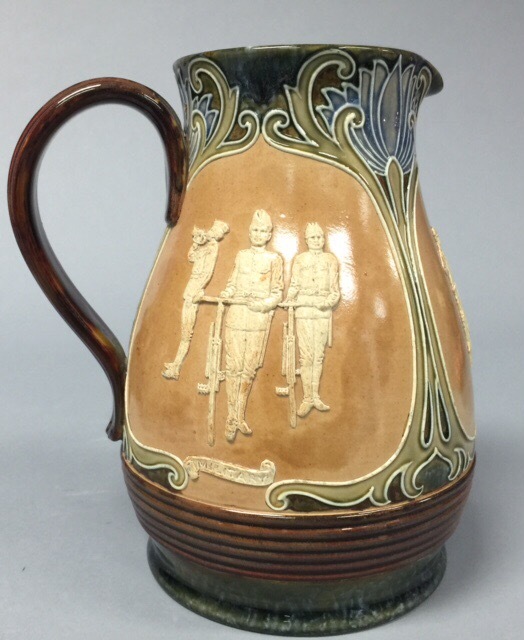 The most popular remain the golfing, cycling and cricket subjects and items of Doultonware featuring these sporting themes regularly crop up at specialist sporting auctions and consistently command among the highest prices in such sales.